 As a Magento certified company, we offer fast and expert support for all possible issues on your webshop. Our Magento Support services are exclusively based on a work hours monthly subscription. The more work hours, the lower the hourly rate. All unused work hours can be saved for up to a year. To manage all support requests we use the best software for bug-fixing, incident- and change management: JIRA Service Desk. Magento Support subscription is suitable for our own customers, for whom we have developed the webshop, but also for customers who already have a Magento webshop that is not built by us. This is the best option for the maintenance of your Magento webshop without hiring any staff. You only pay for the worked hours. Optimal flexibility, all-round Magento and IT knowledge and no employer risk. Open a support ticket with one click directly from your website page in your browser. A editable print screen is automatically generated where you can draw or highlight the visual of the issue. Everything is automatically sent to our JIRA support environment and converted in a support ticket. One click issue report directly from your website page in the browser. Help desk accessibility via one-click, email or ticket system in Jira. Also for webshops that were not built by us. Professional and accessible Jira Service Desk customer portal. Guaranteed response times: no waiting. Transparency: every issue solving can be followed online in real time. Extensive reporting and periodic performance analysis. Much cheaper and more flexible than employing your own IT staff. Unused work hours can be saved for up to a year.